In March 2013 the government announced it was to provide additional funding of £150 million per annum for academic years 2013 / 2014 and 2014 / 2015 to improve provision of physical education (PE) and sport in primary schools in England. This is known as PE & Sport Premium Funding. Since then the government has committed to continue further funding until 2020. This funding is provided jointly by the Departments for Education, Health and Culture, Media and Sport. The funding is ring-fenced and, therefore, can only be spent on provision of PE and sport in schools. At Stainton CE Primary School we are fully committed to ensuring that our children are fit, healthy and active learners. We aspire to be a school that offers every child the opportunity to fulfil their absolute potential and we realise the vital role that sports and outdoor learning needs to play in realising those goals. want our children to make healthy choices, to enjoy physical activity now and to continue to engage in active lifestyles in their futures. Children learn to appreciate the benefit of taking part in regular activities / exercise whilst embodying our core values of collaboration and fair play. The Sports Premium funding we receive will be spent in a number of ways with the ultimate intention of providing high quality PE provision for all. Knowledge skills and resources to be passed on to all staff. 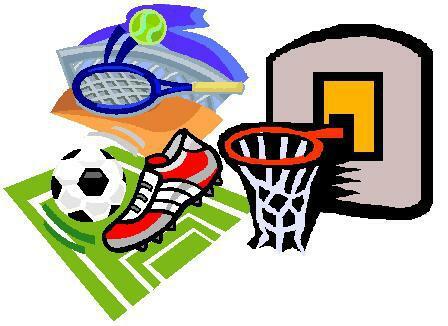 Increased / sustained participation in events tracked and monitored by school’s Sports Leader. To enable pupils to participate safely in local events, including cricket, football, swimming, gymnastics, hockey, cross country, tennis, rugby, multi-sports etc. Improved self-confidence, enjoyment and awareness of opportunities for children. Future health of pupils. Improved staff awareness of organising / involvement in new sports. Develop and improve swimming skills, including water safety, for older pupils prior to their transfer to secondary school. Learning invaluable life-saving skills. Can lead to participation in wide range of other water based activities. Ensuring all children can swim 25 meters at the end of Key Stage 2. To provide safe and supportive resources and storage for indoor and outdoor play. Increased confidence and enhancing friendships through learning and play. To provide opportunities for competitive sport within the safety of the school environment. Wider involvement in competitive sport across the Key Stages. To give new experiences to Year 6 pupils and provide the opportunity to work as a team and also improve vital communication skills. This links with the extra swimming coaching above. Improved communication skills and water confidence. To extend and improve the outdoor learning area. To provide new resources for learning and play. More space to play and explore outdoors. Improved co-ordination skills and spatial awareness. Social interaction opportunities. To maintain the outdoor classroom / learning environment for all Key Stages and to provide seasonal sporting opportunities. Increased opportunities for learning outdoors. Participation in group events and sports days. The PhunkyFoods mission is to improve the dietary and physical activity habits of young children by helping to create supportive learning environments for health in early years settings and primary schools. Children feel empowered to take control over their wellbeing to enable them to live longer, healthier and more fulfilled lives. Jigsaw provides a structured and developmental PSHE programme focused on building emotional literacy and social skills within a whole-school approach. Focus on developing mindfulness techniques and enhancing pupils’ learning and personal development, therefore supporting the self- regulation of emotion, building of emotional resilience and enhancement of pupil focus and concentration, while building the capacity to learn.